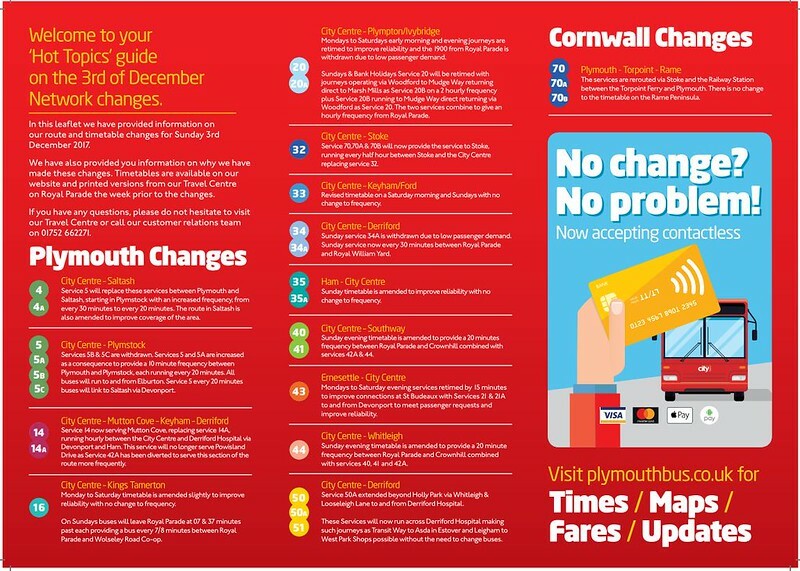 Plymouth Citybus have published details on their new timetables from the 3rd December. Sadly though the full details are only available via a download PDF which makes it harder to get the details and its not the easiest thing to read either. Couple of things I have noticed on a quick read through is that there is no mention of the 51A service in the Hot Topics guide and no mention of any timetable changes to the 61/62 service - although there is a new timetable on their web site. I can only presume that any change is a very minor one! Yet more changes.... is this the most unstable network in the UK? The 5/A timetable is now on Citybus's website, and it's done in an interesting way, I think. I read a few months ago about the London Underground Circle Line, where trains no longer go round and round: each train starts from Hammersmith H & C, goes via Ladbroke Grove to Edgware Road, clockwise round the circle back to Edgware Road and terminates, then returns anti-clockwise back to Hammersmith. The idea is that this makes for much easier timekeeping. 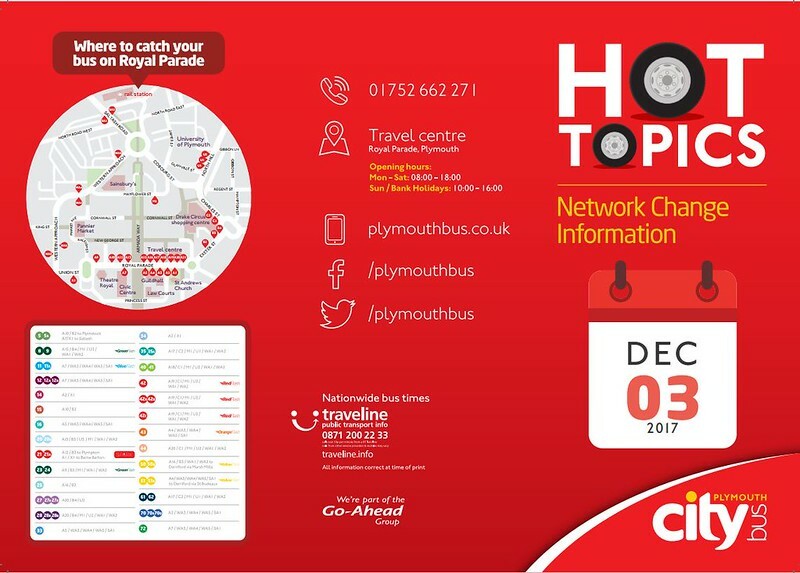 Here, each bus will start from Royal Parade, run as a 5 via Billacombe and clockwise round the Elburton/Staddiscombe loop back to RP and on via Devonport to Saltash where it becomes a 5A, returning to RP and via Oreston and anti-clockwise round the loop and back to RP where it terminates.